With constant sunshine and beautiful open spaces, you’ll find lots of ways to unwind in Wichita Falls. Hike through the trails of Lucy Park and visit the waterfalls from which the city took its name. Cool off in summer at Castaway Cove Waterpark and plunge down a 40-foot water tower or tube down a babbling stream. Brush up on local knowledge at the Museum of North Texas History or browse through antique stores in the Depot Square Historic District. Then, refuel with some good ol’ Texan BBQ at RibCrib, located just a short walk from your student housing. 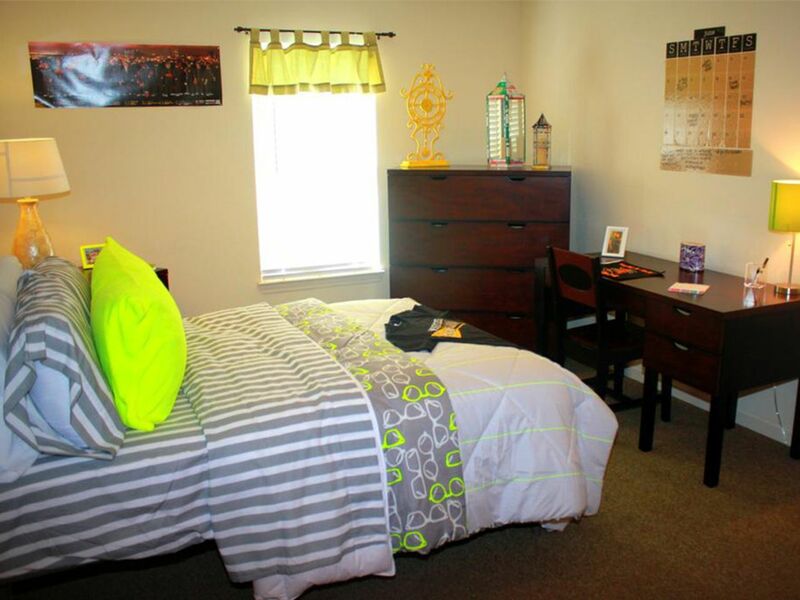 When you live at Mustang Village, you’ll be a five-minute shuttle bus ride from Midwestern State University, so you’ll have plenty of time to hit the fitness center or swimming pool for a quick workout before class. Stop by the 8th St. Coffee House on your way to campus for a caffeine hit and you’ll be ready to kick-start your day. After lectures are over, swing by the farmers’ markets to pick up some local produce, then head home to cook a lavish meal for friends. Budding chefs will love the open-plan kitchen equipped with all the mod cons, including a fridge, stove, microwave and dishwasher. After dinner, throw a quick load of laundry into the washer dryer then hit the books for some study time in the privacy of your own room. Whether you choose to share a two or three-bedroom apartment, your rent includes your utilities, high-speed internet, a modern furniture package and access to a 24-hour maintenance team, so everything is taken care of – including finding a flatmate. When it’s time to unwind, kick back in front of the flatscreen TV or discover what else Mustang Village has to offer. Challenge a mate to a game of pool or ping pong in the resident clubhouse. Schedule study sessions over coffee at the cyber café. 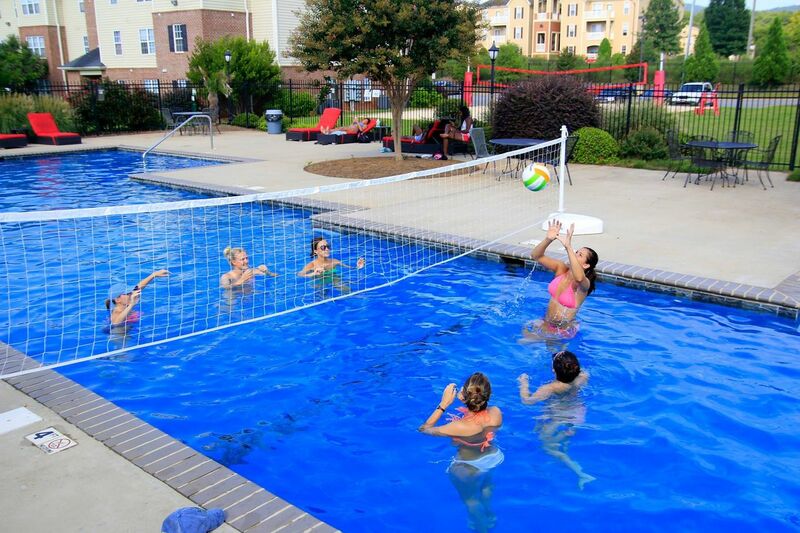 Shoot some hoops or play volleyball on the outdoor courts then fire up the poolside BBQ for a relaxing meal outdoors. With regular resident events, you’ll get to know your neighbours in no time at all. Book now and save on waived app fees and more! Book now and save on waived app fees and more!Book now and receive waived fees. 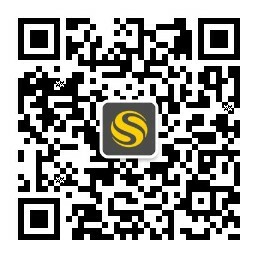 Use code SUMMERSALE. Plus, receive a $200 gift card! 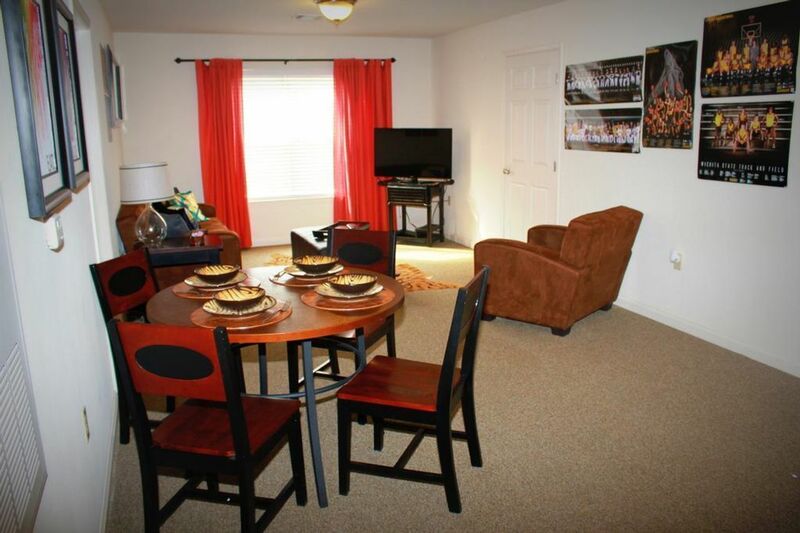 We couldn't find a room that matches your preferencesView all Private Room in Mustang Village.